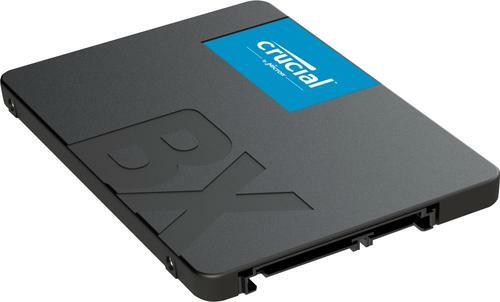 Crucial’s BX500 SSD is a next-generation drive designed to provide everyday computing users with a fast and reliable storage upgrade. Available in a 2.5-inch form factor and 120GB, 240GB, and 480GB capacities, the BX500 is the easiest way to get all the speed of a new computer without the price. With sequential read/write speeds up to 540/500 MB/s, the BX500 enables faster system boot up, faster file loads, and overall improved system responsiveness.